Rolls-Royce of SUVs, Cullinan, launched at Rs 6.95 crore in India; Bentley Bentayga beware! Rolls-Royce has launched its first SUV model Cullinan in India within months of its global unveiling. The super luxury SUV goes up against Bentley Bentayga and Range Rover in India. 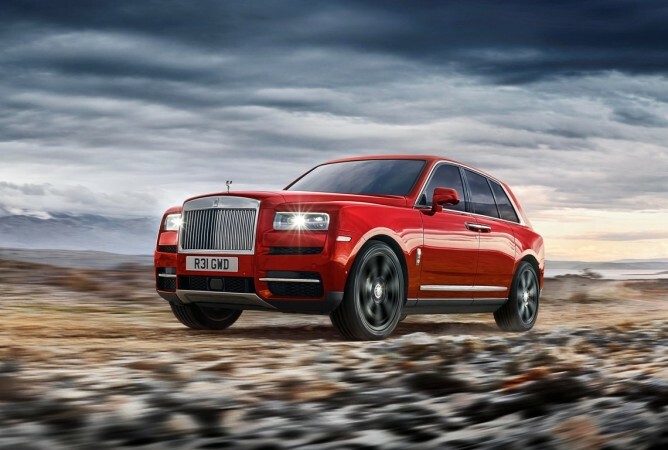 Rolls-Royce, the British super luxury carmaker, had revealed its first-ever SUV, Cullinan, in May. Now within seven months of its global reveal, the Goodwood-based automaker has launched Cullinan in India for a whopping Rs 6.95 crore (ex-showroom). Cullinan bears Rolls-Royce's signature design DNA in its pure form. The face of the Cullinan has been inspired by the Phantom VIII last year. 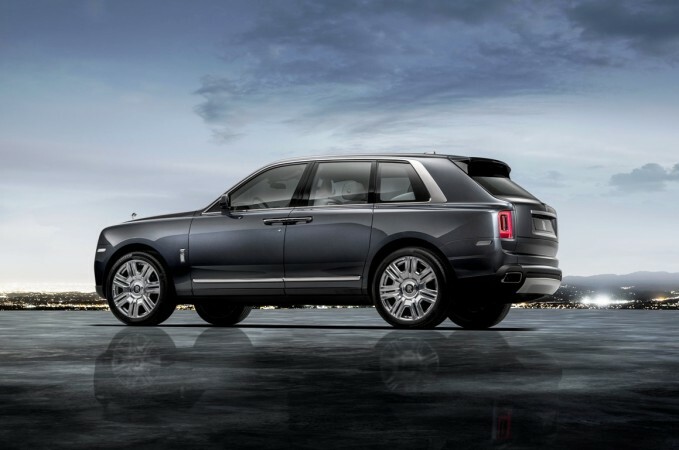 In fact, you may think the Cullinan as a jacked up Phantom VIII from the front angle. The signature stainless-steel pantheon grille with imposing stance is the highlight upfront along with the Spirit of Ecstasy hood ornament. The bumper is slightly tweaked in the Cullinan compared to the new Phantom while you need to keep eyes wide open to spot them. The side profile of Cullinan also carries forward Phantom's traits while massive 22-inch wheels explain the off-road DNA. The SUV has a thick D-pillar and the company claims protruding rear-end has been inspired from the D-Back Rolls-Royces of the 1930s. The design philosophy if Cullinan is not pathbreaking while it embodies the essence of Rolls-Royce luxury in its topmost form. The Cullinan being a Rolls-Royce model has a flamboyant cabin. It boasts of top-class leather upholstery, bespoke fabrics and carpets, power seats with massage function, connectivity and navigation and others. The SUV comes with night vision function, pedestrian and wildlife alert, Alertness Assistant, 4-cameras with panoramic view, active cruise control, Wi-Fi hotspot, and a head-up display. Cullinan is powered by a 6.75-litre, twin-turbocharged V12 petrol motor that produces 563bhp of power and 850Nm of torque. The SUV also comes with the electrically limited top speed of 250kmph. Cullinan is the second new Rolls-Royce model to sit on the all-new aluminium platform after the Phantom VIII. Rolls-Royce calls the platform as 'Architecture of Luxury.' The advanced all-wheel-drive system with self-levelling air suspension will provide famed 'Magic Carpet' ride quality, according to Rolls Royce. Engaging 'Off Road' button on the centre console will ensure Cullinan tackling rough track, gravel, wet grass, mud, snow or sand. Rolls-Royce Cullinan's rival-in-chief is Bentley Bentayga priced at Rs 4.12 crore (ex-showroom). It also goes up against Range Rover's flagship SUV in the niche super-luxury SUV segment.